Rihanna is taking her Fenty x Puma clothing line to Paris Fashion Week! 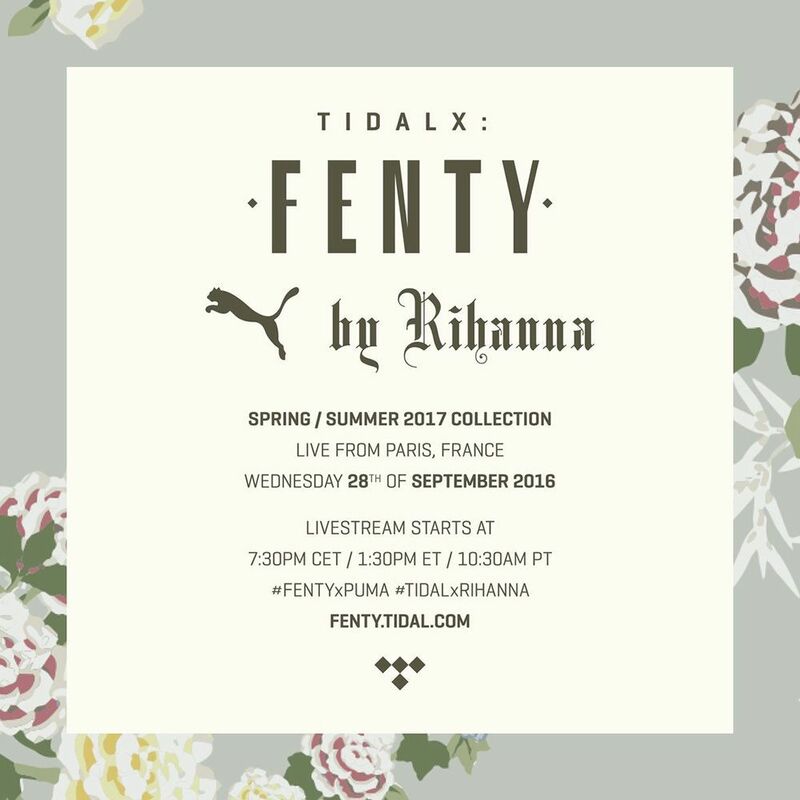 She will show the Spring/Summer 2017 collection on September 28th. If you aren’t lucky enough to attend in person, you can live stream the show on Tidal.com. The stream begins at 7:30pm CET/1:30pm EST/10:30am PT. We actually got a sneak peek at the collection in the behind-the-scenes video for her CR Fashion Book editorial. Check out the pretty pink shoes around the 0:26 mark. The day after the Spring fashion show Puma restocks The Creeper in the original colourways. The suede platform sneaker is back in the colourways pictured above in addition to the green/bordeaux and blue ones. As usual, the shoes will hit Puma.com at 10am local time. Above are the official campaign images for the debut Fenty x Puma collection. Shot by Willy Vandeperre and styled by Alastair McKimm, the campaign stars Fei Fei Sun, Cong He, and Sang Woo Kim. Click here to check out a behind-the-scenes video with Rihanna on set. As mentioned in my review of the collection, Lynn Ban designed all of the rings, rosaries, body chains, etc in collaboration with Rihanna. The first pieces from the collab (pictured above) are available in store at Maxfield and Dover Street Market. The fall collection debuted online and in store on September 6th but that was just the first drop. In the next few weeks Puma will release more pieces and you won’t want to miss out on any of it. So here’s a list of sites that currently stock the collection. Please note that a few sites such as Nordstrom and Shopbop that previously carried Puma by Rihanna footwear have not stocked the full collection.